The Indiewire Springboard column profiles up-and-comers who are deserving of your attention. 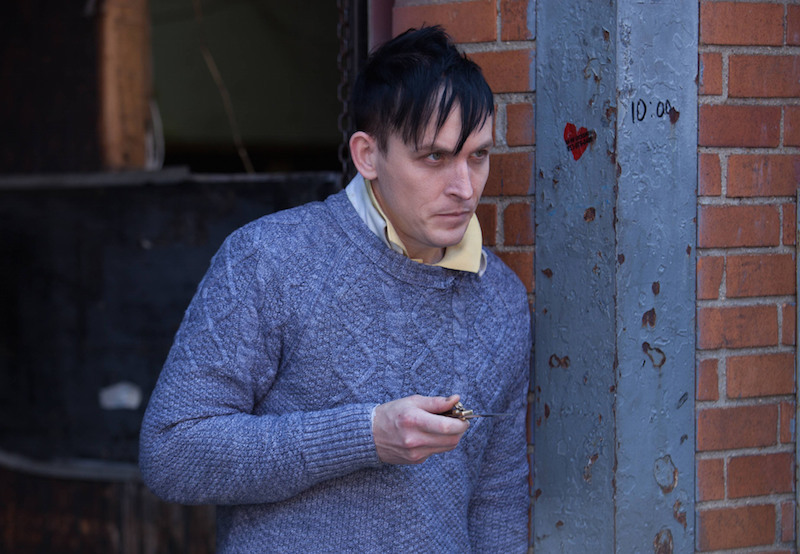 Before Robin Lord Taylor landed the coveted role of Oswald Cobblepot, aka the man who will later becomes the Penguin, on the hit freshman FOX drama “Gotham,” he was best known for one of two things: playing the short-lived Sam on “The Walking Dead” or co-creating the web series that launched Billy Eichner’s “Billy on the Street.” While both could be listed as notable break-ins for any young working actor, things have turned around even quicker for the blonde-haired Iowa native. Before his first audition, Taylor was tipped off by his agent that the fake scene he was reading was actually for “Gotham,” the hotly-anticipated cops-and-criminals series chronicling Batman’s city before the caped crusader came into play. Sticking to his guns, Taylor read the scene just as he’d prepared it, and did so again when he was flown to Los Angeles for a callback in front of the show’s creators. Obviously, it worked out for him. What’s so remarkable, though, is even after the blind audition and with full knowledge of who he was portraying, Taylor’s performance hasn’t fallen back on any of the comic book gimmicks associated with the Penguin — he’s created a version of the umbrella-wielding madman unique to the populated world from which he came. There have been many portrayals of Oswald Cobblepot before his, but Taylor’s interpretation is both painfully calculated, wildly desperate and aptly cold. While he might be discovering the Penguin along with the audience, they can see that Taylor knows him inside and out already. Indiewire spoke with the strong Golden Globes contender about how he’s enlivened Oswald in “Gotham,” why his background in comedy has helped him with drama, getting Twitter praise from Patton Oswalt and what’s changed in his life since landing the role (though he’s just happy to have a ride to work). I’ve auditioned for big things in the past and I’ve learned you have to do you. It wasn’t that I was going to put on some Danny DeVito affectation, I just had to do it the way I was planning on doing it. I had made my choices and I just had to wait and see what happened. And it happened! Both Burgess Meredith and Danny DeVito’s performances have been ingrained in me since childhood, so that was definitely in my brain. The one thing I took away from the both of them was the charm and the glee that the character has. Finding that and working that into my performance as it would be called for, and making the character weirdly…not empathetic, but attractive in a way — all of that was inspired by them. I feel that when I approach the scenes I’m just trying to make it as real as possible for the character. I’ve got to trust that the look of the show—the scenery, the oversized personality of the characters themselves and the heightened dialogue—will carry through. I try and fit into this amazing world they have created, which is, as you said, this heightened reality. It is riding this line between comic book worlds and actual humanity and actual human circumstances. My focus is mainly on making it make sense in a realistic way. I’ve got to act in a way that makes the show feature these humans going through very intense, heightened circumstances. That’s where I come at it from. Can you freaking believe that? [Patton Oswalt] is such an aficionado of comic books and to get a vote of confidence from him is golden. Just to get his praise was like receiving an award or something. I’m still in shock of it. The years I was doing “Creation Nation” with Billy Eichner were an incredible learning experience. I was playing the straight man to Billy, and Billy is a comic genius. There is no matching his sensibilities and his timing and wit. The thing that I learned most was to listen. I actually learned to listen to him and respond to him and to find a balance to him. The show wouldn’t have worked if it was me trying to be as off-the-wall as Billy was in that show. It was learning how to approach something from a completely different angle, and yet still make it make sense and make it complement Billy and make the relationship between the two of us have a bumped up energy. I definitely brought all of that to all of my other work. Another thing about doing comedy […] is you learn how precise a joke has to be in order to get the maximum amount of laughs. If your timing is one millisecond off, or if you hit some word harder than another word, it can throw off the entire thing. So the precision of the language was something I learned. You would never learn that unless you were doing a live comedy show. That’s something I bring to everything I do now. [TV is] not theater, where you get three-to-four weeks of rehearsal to hammer it all out. You get maybe like 15 minutes, you know what I mean? You come to set with your plan in mind, but you also have to learn to coordinate with your costars. They might have a different idea, so you have to learn to play off of each other and go with it in the moment. It’s helpful to be able to run with it. You make your choice and go. The scene that always sticks out in my mind is from the pilot on the pier when Gordon is supposed to kill Penguin. 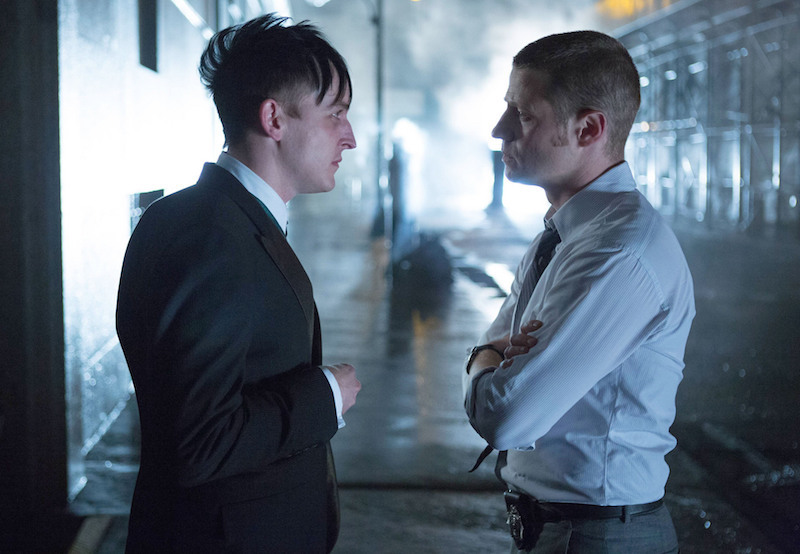 When we were shooting it, it was really me and Ben’s first scene together that established the relationship between Gordon and Oswald, so it was one of those few times when I sort of stepped out of myself while shooting and thought that I had really got it. I knew I was doing it right, which never happens because I’m usually a self-critical actor. But that scene was a moment in my life where I could actually feel my life changing. It was really an out-of-body experience, I would say. Just having a steady job is all I ever wanted. All the other stuff is just icing on the cake. I’m still overwhelmed when I look outside and there’s a van waiting to take me to work. That’s so huge for me! I’m still processing that. So processing any sort of awards thing, I’m not even there yet. I have no words for it.